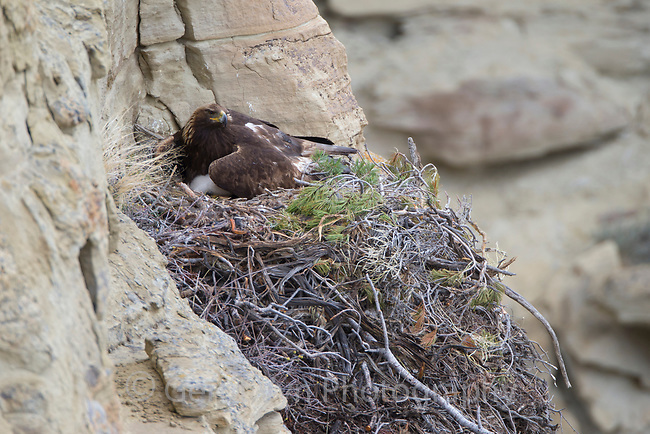 Adult Golden Eagle brooding a chick on its nest. Sublette County, Wyoming. May.